IS YOUR CLOSET GIVING YOU UNNECESSARY STRESS? DO YOU HAVE "WHAT DO I WEAR" CLOSET CONNIPTIONS? 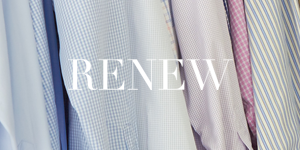 "At Closet Rx, our goal is to make getting dressed easy." We are melding the best elements of closet organization and styling to discreetly help you manage this aspect of your daily life. We organize and edit everything in your closet while keeping an eye towards your personal style. What happens once we edit your closet? We help you make thoughtful shopping choices and resell or donate the unnecessary items so the clothing's life cycle continues.